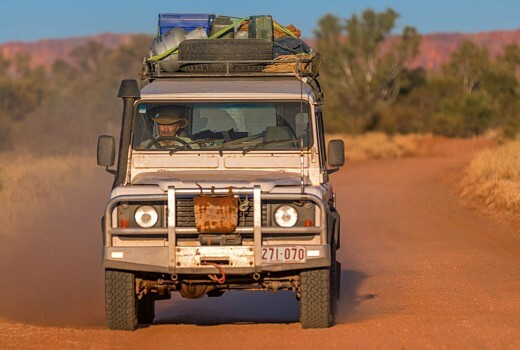 Russell Coight (aka Glenn Robbins) returns to TEN after a 14 year absence, for his for a third series of All Aussie Adventures. The 7 part series will screen on Sunday nights from August, tipped to be joined by the new Street Smart sitcom. Almost two decades ago, a legend rode out of the Australian bush and onto our television screens. Long before Bear Grylls, Steve Irwin or that guy on YouTube with all the knives, there was the original intrepid adventurer. Russell Coight. Russell’s ground-breaking series All Aussie Adventures originally screened on Network Ten in 2001. With his trademark khaki shorts, challenged sense of direction and apparent imperviousness to pain, Russell quickly established himself as an outback icon. Over the course of two series he managed to win fans while simultaneously destroying large swathes of protected bushland. All Aussie Adventures came to an end in 2002 after a court order prohibited Russell from coming within 500 metres of any marsupial. But the ride was not over. Not by a long shot. Now, over 15 years since he last set fire to a national park, Russell Coight is back with brand-new episodes of All Aussie Adventures. In this series, Russell returns to the outback to catch up with some old mates, share a few important survival tips and introduce us to some of his favourite native species. An impassioned wildlife lover, Russell considers these animal encounters as series highlights. The RSPCA calls them “evidence”. Either way, it makes for must-see TV. 7:30pm Sunday August 5 on TEN. Can not wait!!!!! So so funny, I’ve watched the previous season so many times. Great news! Love the promo blurb as well …very funny. A long time between drinks – so looking forward to seeing what old Russ has been up to. I loved this show. Seems like ages when they said it was coming back now it’s finally here. Ha! So definitely a shake up. A good move by 10.